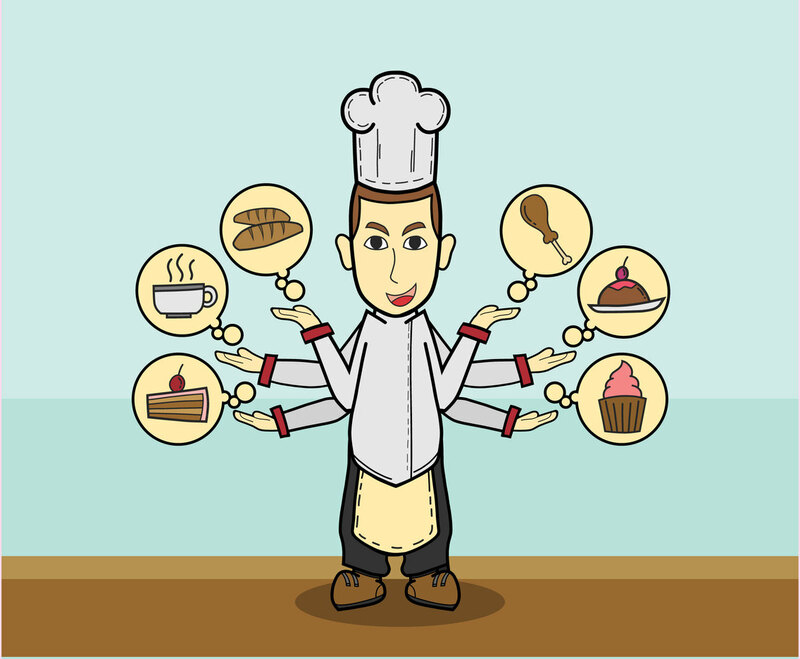 This conceptual vector illustration visualize a juggling chef with many cooking skills. He can cook many kind of meals and drink for his customer. You can use this vector set for promoting a chef's services or catering business.